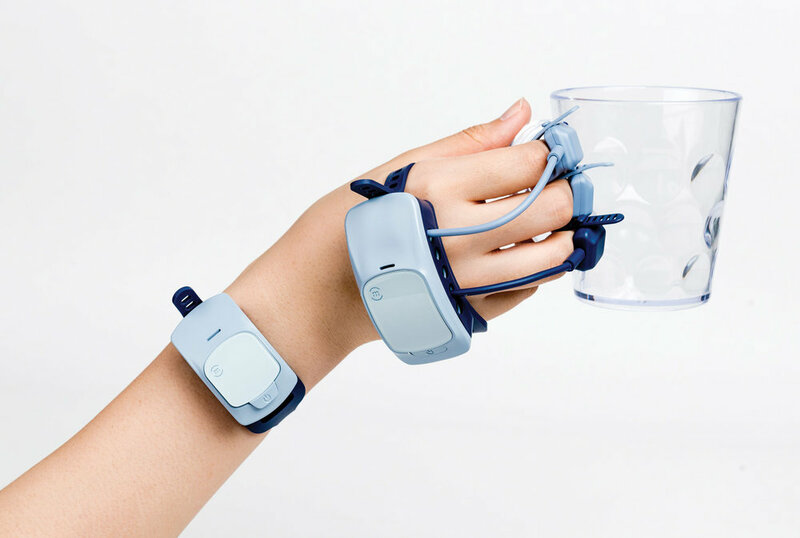 Manovivo is a wearable smart glove designed for people with rheumatoid arthritis(RA). The technological device is brainchild of Lee Hyejeong, Prof. Kim Jieun, and Kim Guiyoung, from South Korea. Manovivo monitors and trains the impaired hand in daily life. 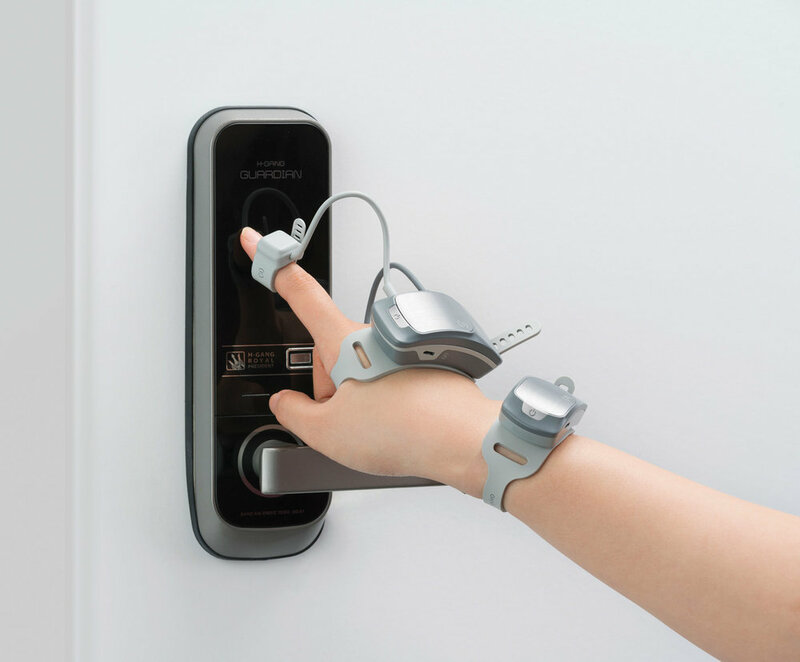 The innovative product has three sections—finger rings, the principle gadget, and a wrist gadget—together, they catch the patient's hand movement with accuracy before sending the information through Bluetooth. The ring made with a flexible rubber is specially designed to fit any finger and cushion contact with the fingers, enabling customised measurements according to the symptoms of a patient. 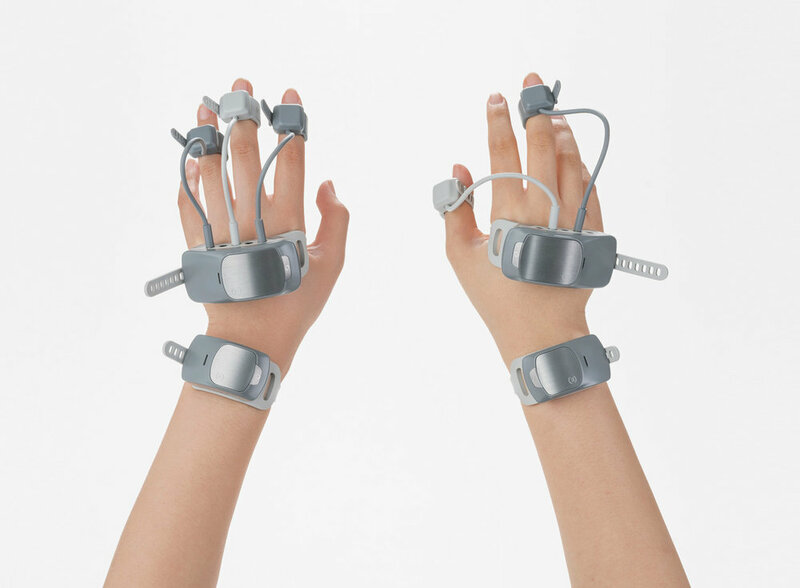 Manovivo offers another futuristic method for evaluating hand and finger execution in real life. This would adequately help clinical action and accelerate the recovery of hand dysfunctions. ‘Manovivo’ is a compound word in Latin that can be approximately deciphered as 'hand' and 'live'. Manovivo brings back vitality to life through recovery.